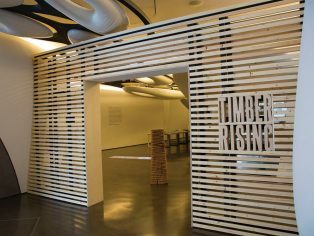 Running earlier this year at the Roca London Gallery, ‘Timber Rising: Vertical Visions for the Cities of Tomorrow’ presented an intriguing glimpse into the future of architectural timber solutions. 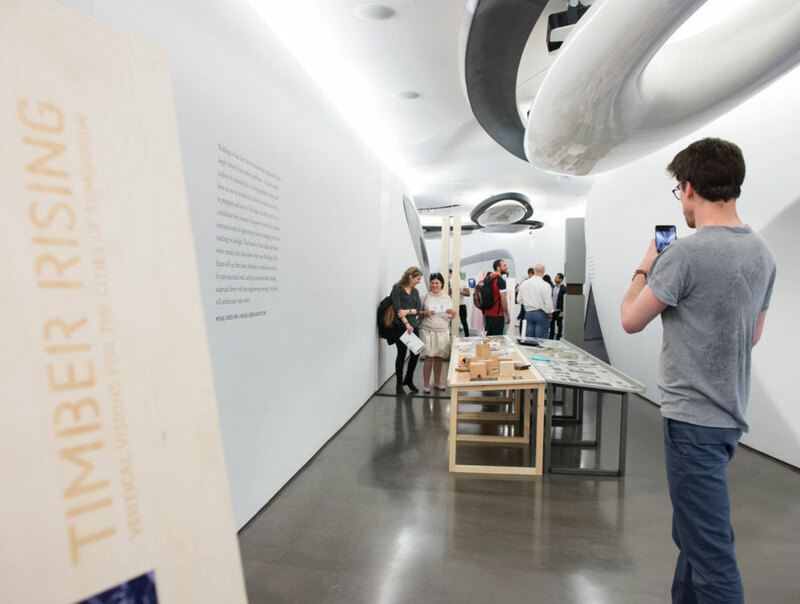 With engaging and in-depth discussions from industry-leading experts throughout the public exhibition, topics such as ‘Forests and Sustainable Cities’ and ‘A Revolution in Construction: Hand in Hand with Nature’ were explored in depth. The panellists – Dr Layla McCay (Centre of Urban Design and Mental Health), Michael Ramage (Centre for Natural Material Innovation at The University of Cambridge), Kevin Flanagan (PLP Architecture) and Elina Grigoriou (Grigoriou Interiors) – have all utilised cross laminated timber (CLT) extensively in their latest projects and research. Commenting on the context of urban densification and the associated need to build upwards, Clare Farrow, co-curator of the exhibition, pinpointed a key issue: “New luxury towers built of concrete, steel and glass present exciting and symbolic visions of this future, but there is also a flip-side. The problem is that cities already account for 75 per cent of global pollution and consumption of non-renewable resources. 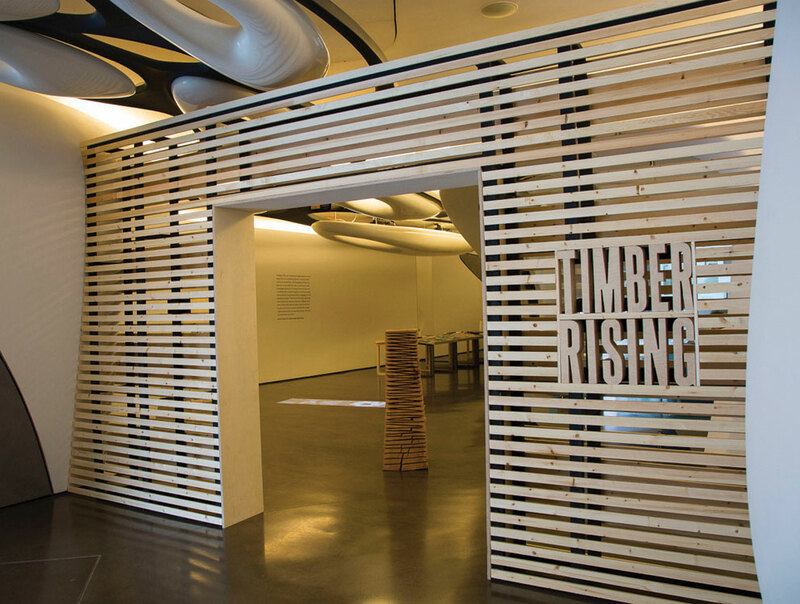 In the UK for example, the energy consumed in the construction and operation of the built environment accounts for almost half of the country’s carbon dioxide emissions.” Timber offers a direct solution to this problem; its carbon credentials are unparalleled; it is five times lighter than concrete; and its thermal properties make it an ideal material for both interior and exterior applications. In particular, modified timber provides compelling environmental advantages over non-renewable carbon-intensive materials such as plastics, steel and concrete. The environmental impact of this timber can be assessed at all stages of its life cycle, from cradle to grave. It would seem that architecture is now truly in the midst of such an evolution. As heard in the panel discussion, it is true that increasingly more architects, interior designers and psychologists are recognising the potential and, indeed, the importance of this material. In creating highly functional masterpieces all over the world which will allow people to live and work more freely and happily, they are enabling people to experience the world through a different medium.